But before we focus on that, the headline here is the addition of user profiles so you can now share your favorite music and playlists with friends and discover what they've shared as well. 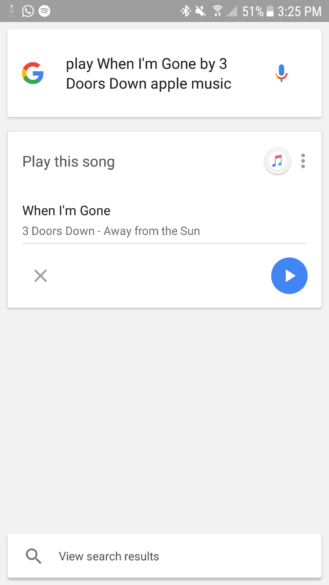 As for the new Android features that our geeky hearts are looking for, Apple Music has 3 new things: one 4x1 widget for recently played music that lets you quickly jump back and get to listening (do you hear that, Spotify? 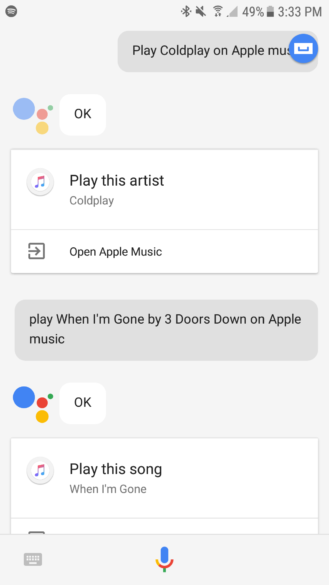 ), two homescreen app shortcuts that let you start a search or launch the Beats 1 station, and finally OK Google voice search commands to start playing artists, albums, songs, and the Beats 1 station. The latter work in the regular ol' Google Search and in Assistant, which is cool. OK Google commands work in both the old fashioned Google Search and Assistant. Now discover music with friends on Apple Music. Create a profile and follow others to see music they are listening to and playlists they’ve shared. Voice Search. 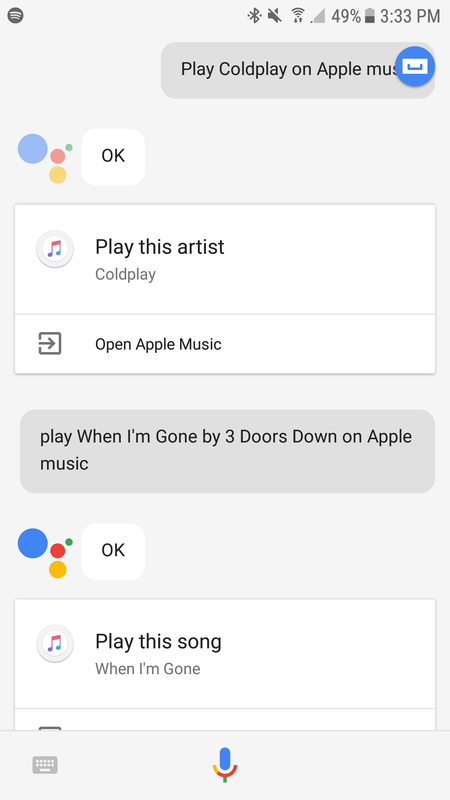 Touch and hold the home button or say “Ok Google” to use your voice to play artists, albums, songs, and Beats 1 on Apple Music. Recently Played Widget. Show and play recent music on your home screen. Shortcuts. Tap and hold the Apple Music icon to quickly Play Beats 1 or start a new Search. If you want to give Apple Music a go, you can grab it from the Play Store below. You'll need an account to see all these features, but it offers a 3-months free trial so you can make up your mind about it before paying. From my experience, it's actually good, widely available in many countries, and makes sense if you get a family account with other household members on iOS. But I couldn't stick with it when I discovered I might be able to resurrect an old Spotify account I created when I lived in France. 'Twas a no-brainer choice.